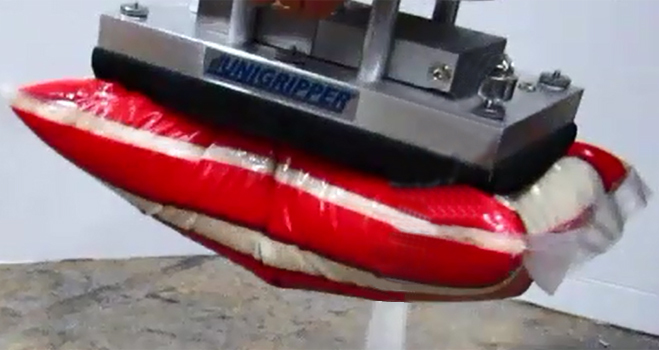 The UniGripper BagGrippers handle bags in all sizes. 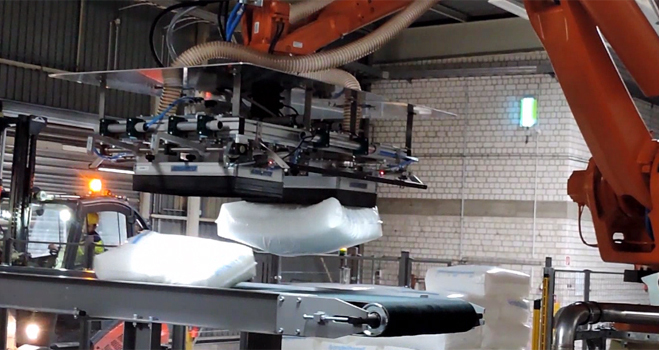 From small pouches weighing in on a few grams, to bags of flour at 25 kg, and beyond - our BagGripper has been proven to lift bales up to a tonne. 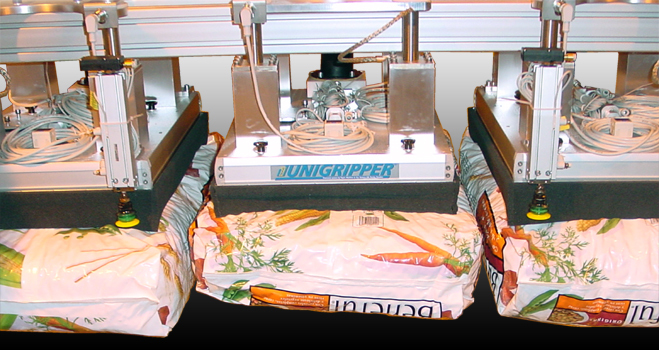 As with all UniGripper Customized, the BagGripper can be configured in size and with accessories to make it a complete end of arm tool. 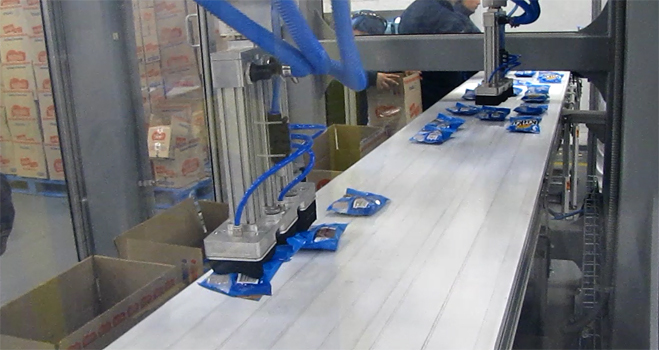 Working with pouches, weight of the gripper is often key as small robots transfer the pouches from conveyors to boxes. The smallest grippers in the BagGripper range are optimized in weight and outperform suction cups, which fail to provide reliable handling for many kinds of pouches. Built on a common fram for lifting 3 bags at once.